- Date: 01/2017, Seed: $3.75 M (post valuation: $40000000). The IDEO Startup in Residence program helps early-stage teams embed design thinking into their core DNA as they grow and scale. The startup team lives in an IDEO design studio for a quarter, working to achieve product-market fit. Along the way they’re mentored by IDEO designers and participate in the daily life of the studio. 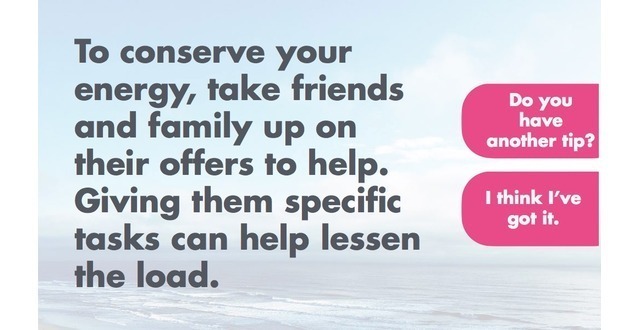 Going forward, they also benefit from being part of the IDEO’s family. All Startup in Residence candidate companies are referred by IDEO’s network of trusted advisors and investors. At the 2016 Rosenman Symposium one highlight was the presentation of the Rosenman Innovation Awards. More than 90 companies competed for the awards. Eight finalists were invited to pitch at the symposium. Catalia Health was one of the 8 finalists. 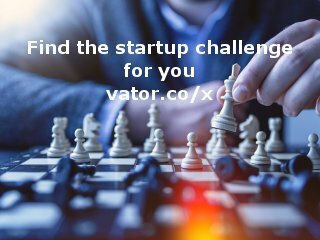 MedTech Innovator is the industry’s nonprofit global competition and accelerator for medical device, digital health and diagnostic companies. Their mission is to improve the lives of patients by accelerating the growth of companies that are transforming the healthcare system. Every year they comb through hundreds of applications to find 20 companies to provide mentorship and whom will compete for 335K in funding. The MedTech Innovator finals at AdvaMed 2016 is the culmination of a year-long program, with six pitch sessions and three competitions held in seven cities around the globe, in an industry-wide collaboration of hundreds of companies to identify and move these transformative innovations forward Catalia Health was first a semi finalist and then finalist in this competition. Cory is one of those rare founders who combines deep healthcare specific knowledge with the ability to move quickly in an industry that is not easily disrupted. Catalia Health's effectiveness with the Mabu Personal Wellness Companion is measurable and leads to better patient outcomes. Great founder + massive opportunity with a product that is in patients lead to a great investment and we're happy to be part of Cory's extended team. 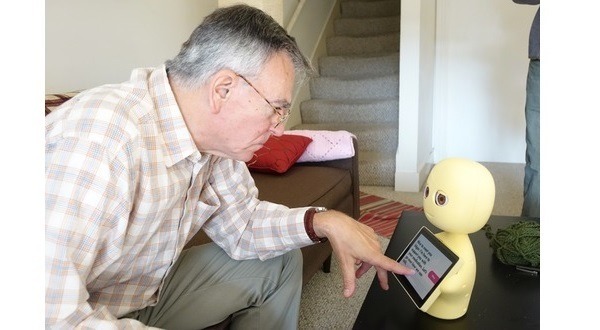 The Mabu Personal Healthcare Companion from Catalia Health from Catalia Health on Vimeo. Mabu Introductory Video from Catalia Health on Vimeo. Examples of Conversations from Catalia Health on Vimeo. 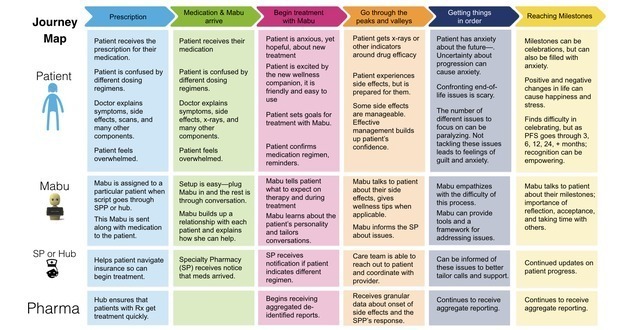 Catalia Health bills specialty pharma and healthcare companies a per-patient, per-month fee for the use of the Mabu wellness robot to increase adherence to a treatment program and provide rich data on patient interactions and outcomes. While our technology is extremely innovative, our business model is deliberately not new. We model our contracts off of what is currently in place in the care management market, which allows for a much faster sales cycle. Our competitive advantage comes from being first to understand how to bring together medicine, psychology, and human-robot interaction to create scalable technology that automates aspects of the managed care industry. 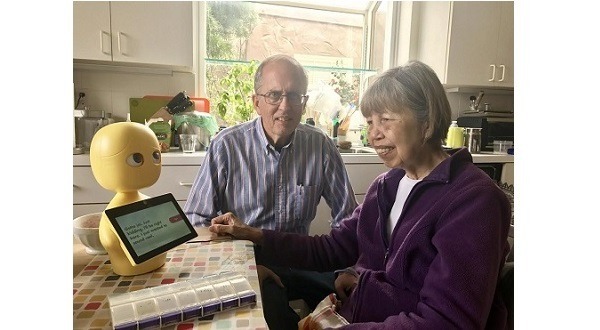 Having a physical robot that can have engaging conversations with patients in their home and provide support and monitoring is transformative to patient chronic care. While conceptually it may seem simple to do, no one else has successfully done so in the decade since Dr. Kidd first deployed this with patients. As the first to create this technology, we have been able to secure an issued patent on the use of robots for behavior change, a blocking patent that will keep others out of this space for the foreseeable future. As first to market in this space, we are leveraging our lead to gather more patient data about daily interactions than anyone else has been able to create to date. This gives us the ability to use this data to improve our algorithms, thus widening our lead ahead of potential competitors. We have a diverse team of engineers, clinicians, writers, & designers collaborating closely to build an inviting, engaging product that is focused on maintaining a lasting relationship with each patient. This is extremely important given the variety of factors that impact adherence & healthy behavior change. 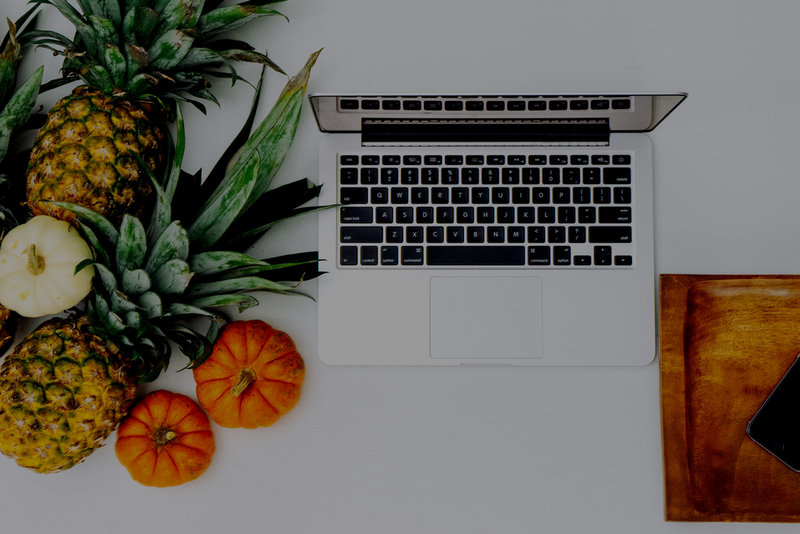 Our team is led by a CEO & founder who is considered an industry leader and visionary who has previous experience founding and building a company. Futurist, innovation strategist and robotics/AI investor. Catalia Health was featured in a VatorNews article: "Vator Splash alumni: which companies raised money in 2017"
Catalia Health added a press mention. Catalia Health was featured in a VatorNews article: "Video: Catalia Health at Vator Splash Health 2017"
Catalia Health was featured in a VatorNews article: "Presenting the finalists for Vator Splash Health!" William Kim confirmed Catalia Health as an investment. Michael Ma confirmed Catalia Health as an investment. Soichi Sasao confirmed Catalia Health as an investment. Will Bunker confirmed Catalia Health as an investment. 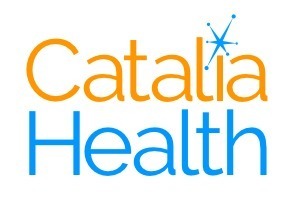 Larry Tsai confirmed Catalia Health as an investment. Khosla Ventures confirmed Catalia Health as an investment. Catalia Health added an award.